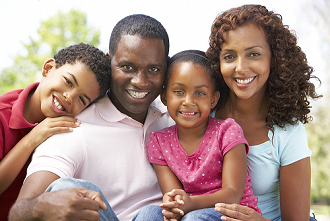 When it comes to your oral health it’s important that you find a family dentist that the whole family can trust. Here at Douglas A. Huhn, D.M.D., P.A. we pride ourselves on giving everyone the unique dental experience they deserve, whether it’s making sure your child hits each developmental milestone or whether you need superior custom-fitted dentures that will be able to replace your missing teeth. We’re proud to be creating beautiful smiles for thousands of families all over South Orlando. We understand that when it comes to your dental experience, you want someone who listens to your family’s individual dental needs and can provide you with the treatment and care necessary to meet your dental goals. By helping our patients achieve their dental goals we help them maintain beautiful smiles for many years to come. So, why choose a family dentist? For one, we provide dental care to every member of your family. We focus on providing quality, expert care to patients of all ages. This makes it easy for everyone in your family to maintain healthy smiles by visiting our one convenient location. After all, what’s better than being able to establish rapport with a dentist who will get to know your family over the years and be able to provide tailored treatments to meet all of your individual and changing needs? Between work, school, and activities, our daily lives certainly keep us busy. Here at Douglas A. Huhn, D.M.D., P.A. we understand and make it easier for everyone to book dental appointments that fit their schedules. We also understand that emergency dental situations arise. Don’t you want a dentist that will be there for you when an injury or problem affects your smile? Whether you are dealing with a toothache or your child has experienced a sports-related dental injury, our dental practice makes it easy to get ahold of us on when problems often occur. If you want a family dentist that will be committed to each member of your family for the long-term and provide the best dental care possible then it’s time you called our South Orlando, FL dental office! For more information on Family Dentistry, contact us through our contact form, or call Douglas A. Huhn, D.M.D., P.A. in Orlando, FL at (407) 422-6281 today!